We are a very short walk from several Metro lines. Lowest prices are usually on 17th Street NW. 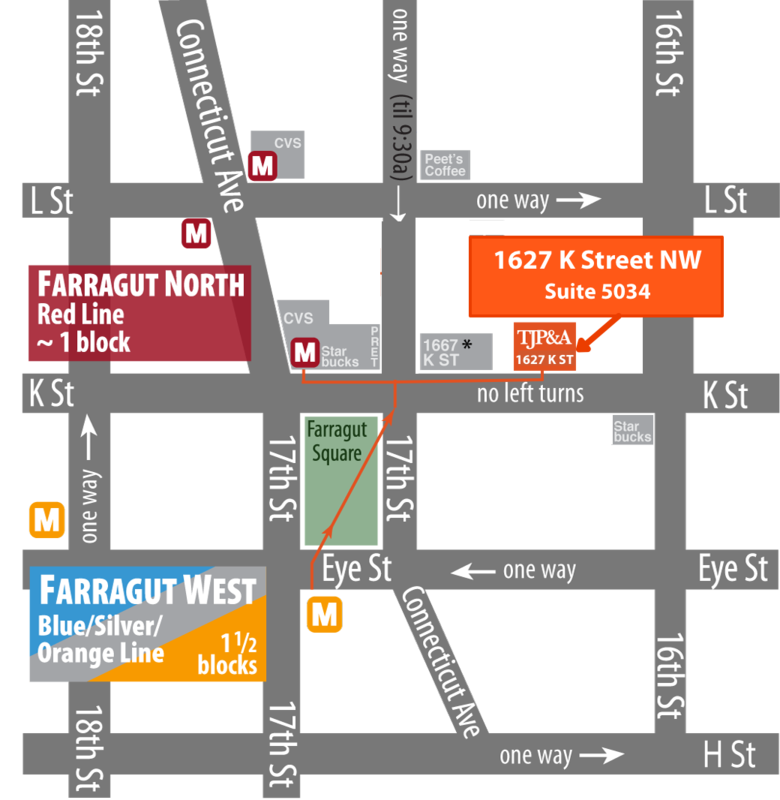 Note: Garage entrance for for 1667 K St. NW is at 1051 17th Street NW and 1666 K St NW is at 925 17th St. NW. We are on the 5th floor. After exiting the elevator turn left and walk to the end of the hallway. We are the first door after you turn the corner.